I used Lightroom and then Silver Fx pro to convert into Black and White and really bring some fine detail to the Photograph. I used a 50mm at F2.5 to get the background to just fade out and bring the attention straight to the wheel. This entry was posted in Photography and tagged Adelaide, Black and White, BridgeWater, Lightroom, Monocheome, Photography, Silver Fx, Silver FX Pro, South Australia. Bookmark the permalink. Your work is excellent Michael!! I love your B & W’s. Keep up the great work and remain creative!! You are very welcome Michael. 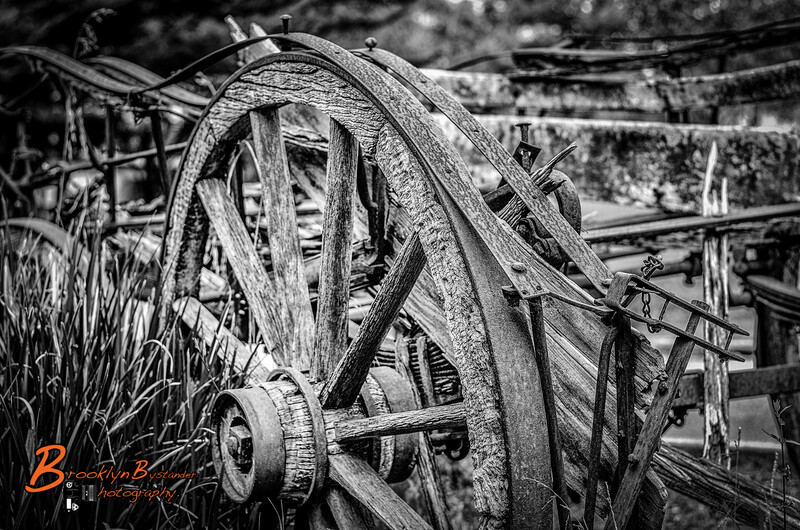 I was out this past weekend and photographed a wagon wheel (well four), as well. I thought of yours from the other day. See…your photography inspires–it gives me ideas on what to look for! Thanks!!!! 🙂 I really love this one! What a difference from the original photo! A lot more detail in the black and whit that I could never have imagined! I’m not a photographer myself but I so enjoy seeing the beautiful photos that talented folks like yourself share and learning how you do things. The technology and the talent is amazing!